The musicians are Itopia augmented by Leroy Sibbles and Jackie Mittoo. Also Annette Brissette on drums - her solo album provides three outstanding cuts here, featuring Menelik in fine style on percussion. 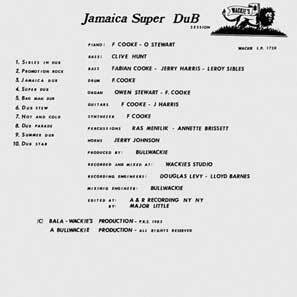 12s by Barrington Spence and Lloyd Hemmings take dub honours from the Wackies mixing desk; also Sugar Minott, Leroy Sibbles' redemptive version of Lionel Richie's Truly, and the rhythms behind still-unissued vocal tracks by Milton Henry and - best of all, the killing Super Dub cut - The Shades. 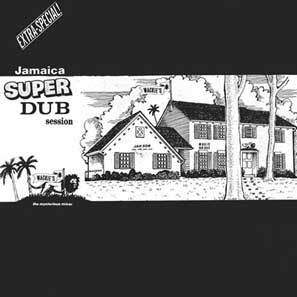 More resplendent dub from Bullwackies.